The following post is a condensed version of the "vision statement" submitted by the author ahead of the informal dialogues of the UNGA with the candidates for the position of UN Secretary-General. The United Nations is the institutional expression of the international community and the key actor of effective multilateralism. It is the instrument of member States to confront common challenges, manage shared responsibilities and exercise collective action, in an enduring quest for a peaceful, inclusive and sustainably developed world, in which international law and the dignity and worth of the human person are fully pursued. Understanding global mega-trends is crucial. Current dynamics of a geopolitical, demographic, climatic, technological, social and economic nature enhance both threats and opportunities to an unprecedented extent. Exclusion, competition for dwindling resources and shortcomings in governance further contribute to the eruption of violent conflicts. Furthermore, the nature of conflict is changing; terrorism, international organized crime and illicit trafficking pose real threats; and the effects of climate change and the prospect of devastating epidemics loom persistently on the horizon. The UN is uniquely placed to connect the dots to overcome these challenges. To succeed, it must further strengthen the nexus between peace and security, sustainable development and human rights policies. The 2015 landmark agreements, notably the Agenda 2030, the Paris Climate Agreement and the Addis Ababa Action Agenda, lay out the strategy for action. Achieving these goals has direct implications for peace and the realization of human needs. For many it means survival. With the horizon of 2030 and ensuring no-one is left behind, the watchword is "implementation." There can be no peace without development and no development without peace; and there can be no peace and sustainable development without respect for human rights. The UN human rights system has a key role to play in strengthening member States' capacity to meet their obligations. The SG should ensure the mainstreaming of human rights across the whole UN system, notably through the Human Rights Up Front initiative, preventing violations and abuses, ensuring accountability and addressing the plight of victims. The UN must be at the forefront of the global movement toward gender equality: promoting women's empowerment and gender mainstreaming. It is clear that there is no humanitarian solution to humanitarian problems. The solution is always political. For example, development-cooperation policies must take much greater account of human mobility. Migration should be an option, not a necessity; out of hope, not despair. The world spends much more energy and resources managing crises than preventing them. Thus, the UN must uphold a strategic commitment to a "culture of prevention." First, we need a surge in diplomacy for peace. The SG should tirelessly exercise his good offices as an honest broker. Second, the UN must develop a comprehensive, modern and effective operational peace architecture, encompassing prevention, conflict resolution, peacekeeping, peacebuilding and long-term development -- the "peace continuum," ensuring the primacy of political solutions at all stages. Third, further investment in capacity and institution-building of States is another central element of prevention. Fourth, prevention is also crucial to combating terrorism. Force must be used when necessary and in accordance with the Charter, but let us not forget that it is also a battle for values. Fifth, values are, indeed, our vital strength against intolerance, violent extremism and radicalization. They are also the best antidote to racism, xenophobia, Islamophobia and anti-Semitism. The key to further enhancing the UN's effectiveness is more and better coordination -- delivery centered, not process oriented. Breaking silos requires accountability at three levels: systemwide; within each UN institution regarding its mandate; and how each of them contributes to the performance of the system as a whole. The UN needs also to further develop a strong culture of partnership at three levels: First, increasing cooperation with regional organizations, notably the African Union. Second, strengthening partnerships with international financial institutions. Third, enhancing engagement with civil society and the private sector. The future of the UN will be determined by its readiness to change and adapt. The SG must permanently promote reform and innovation, focused on delivery and results, for a less bureaucratic and more efficient and field-oriented Organization. The SG must maintain unwavering commitment to transparency, accountability and oversight. Moreover, the SG must stand firmly for the reputation of the UN. Leading by example, imposing the highest ethical standards and eradicating cases of exploitative and abusive conduct. To address substantial gaps in gender equality, the SG should present and implement a road map for gender parity at all levels, with clear benchmarks and timeframes within the next mandate, giving priority to senior staff. A similar commitment is necessary to move consistently into regional equilibrium in senior appointments. The UN must communicate in ways that everybody understands and use the most modern digital platforms, reaching out to common citizens and making the most of its unique and powerful brand. Peace, justice, human dignity, tolerance and solidarity are enshrined in the UN Charter and bind us together. In times of insecurity, when people feel uncertain about their future, when anxieties and fears are promoted and exploited by political populists, old-fashioned nationalists or religious fundamentalists, the success of the UN lies in our common commitment to our common values. The UN must be proud of its diversity. A diversity that only enriches the strength of the expression of our common humanity. 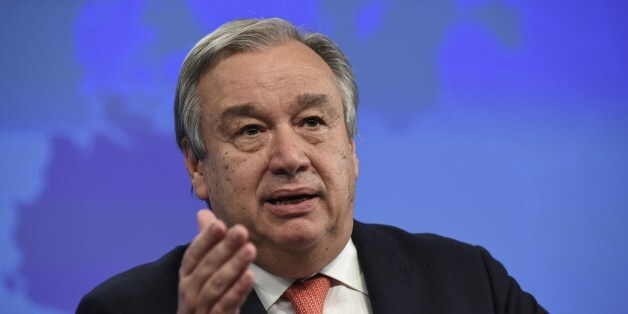 This post is part of a series produced by The Huffington Post regarding the selection and appointment of the next Secretary-General of the United Nations. 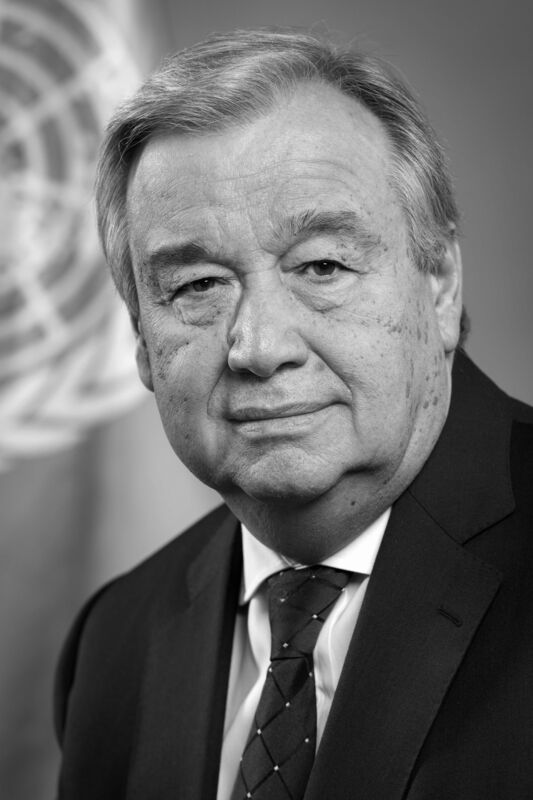 A new Secretary-General will take office on January 1, 2017, and each of the declared candidates for the position was invited to participate in this blog series. The President of the General Assembly noted that, this year, the selection process will have more transparency than ever before. The declared candidates for the position are listed by the UN here. To see all the posts in the series, visit here.